There is nothing quite like watching CEO Willie Walsh and the team at the generically-branded International Airlines Group (IAG) work. Every so often, the company (parent of British Airways, Iberia, Vueling, Aer Lingus and LEVEL) comes up with seemingly hare-brained ideas that, after further review, don’t seem so crazy after all. The latest news is that IAG has taken a stake of 4.61 percent in Norwegian, and it’s interested in talking about a takeover. Why would a company like IAG want a money-losing, debt-ridden mess like Norwegian? There are so many good reasons, and the fact that IAG is making a move shows that the company remains at the top of its game. Norwegian, as I’ve written here before, is a mess. It has grown like a weed but not in a wise way. Though it was successful as a low-cost carrier flying 737s around Europe, its expansion since then has tanked the airline’s financial performance. Now, as things have become more dire, the airline looks increasingly vulnerable. Its stock has been trading near a 52-week low, and that means it’s the perfect time to ponder an acquisition… if there’s anything worth acquiring. IAG has been very deliberate about the airlines it has brought into its portfolio over the years, so it might seem strange that Norwegian would be of interest. But IAG is always looking for something that would better the group’s performance, and this has the potential to do just that. It would be a great way to eliminate an irrational competitor and pick up some assets along the way. This is a forward-thinking move. While Air France/KLM bumbles around with regular strikes and poor strategic decisions and Lufthansa continues to cobble together its Frankenstein-esque monster in Eurowings, IAG continues to outpace them both by a mile. The most obvious benefit to IAG would be to simply get rid of a ton of competitive capacity from an airline that doesn’t seem to be interested in actually making money. Norwegian has been aggressive over the Atlantic not only with 787s on big routes but also 737s on smaller East Coast-Europe runs. And unlike competitors, IAG has not been taking this threat lightly. At British Airways, Norwegian’s large-and-growing Gatwick hub has been of real concern. Without Norwegian, there’s no way BA starts flying London to Oakland or Ft Lauderdale. Those flights, operated by 777s in a dense configuration, are merely meant to put pressure on Norwegian. Then there’s LEVEL, the quickly-whipped-up long-haul, low-cost competitor to fly from continental Europe to longer haul destinations, many overlapping with Norwegian. This may seem like an overreaction from a competitive standpoint, but it’s really not, as I’ve come to appreciate. IAG realizes that if Norwegian doesn’t make it work, someone will. If Norwegian disappears, that will be quite the vacuum to fill, but IAG can get ahead of the game by acquiring Norwegian and re-shaping it into something worthwhile. It could take the long-haul routes that work and bring them into the LEVEL operation. Or really, it would go the other way since LEVEL is still mostly piggy-backing off the Iberia operating certificate. It could use the Norwegian operating certificates in the UK as well as Ireland. For short-haul, IAG could find a way to have some of that mesh nicely with what Vueling has built. This would rationalize routes while letting IAG cherry pick what make the most sense. The continuity of the whole transaction would give little daylight for others trying to take advantage of Norwegian’s vulnerability. Presumably an IAG-owned Norwegian would be much smaller than today’s Norwegian, but many of those shiny 787s and 737 MAXs could find a home elsewhere in the networks of IAG’s portfolio airlines. The airplanes it doesn’t want, it can use its heft to negotiate out of (or it can lease them out through Norwegian’s leasing company, though that would seem odd). It’s not just the airplanes either. Imagine how British Airways would like to have all those Gatwick slots under its control. Oh sure, some divestiture would be necessary to pass a competition review, but BA would still end up ahead of where it is today. Then there are the ancillary businesses, like Norwegian’s staffing operation. As Jon Ostrower notes, that could be of real interest as well. The basic idea is that Norwegian doesn’t work as a whole, but there are pieces of interest. And if Norwegian fails, there will be a race to fill that void. This gives IAG pole position in that race. Of course, this may go nowhere. Norwegian had no idea this was coming. Early signs don’t indicate that the CEO (who owns over a quarter of the airline) is jumping at the chance. But guess what? Even if it falls apart, IAG still gets rich off its investment. Just announcing it had taken a small stake caused Norwegian’s stock to rocket up 50 percent. If this works, IAG gets to shape the competitive landscape in a meaningful way. If it doesn’t work out, Willie will be able to walk away and count his kroner. Either way, IAG wins. It is doubtful that IAG can buy Norwegian because of competition concerns…. precisely because they overlap over too much across their networks. But the attempted acquisition puts pressure on Norwegian and potentially shows their stockholders that the vultures are circling – which might give Norwegian’s board less incentive to allow Norwegian to keep burning money. Either way, the chances are high that Norwegian’s high growth, low fare model will be throttled back tremendously in the next few years. Tim – The thing is, Norwegian can’t really throttle back its growth. It has this mounting debt and it needs to have the cash coming in. Best way to get cash is to keep bringing new airplanes in. But it turns into a death spiral. I don’t see a long term future for Norwegian without a major restructuring or an acquisition. Not sure what Norwegian bankruptcy laws are like, but that might be of increasing interest. I completely agree. they need someone to bail them out because their plan isn’t working. Given that so much of their operation and resources are leased and contracted, it is probably easier for an acquirer to get out of the contracts than for other airlines. The biggest issue would be slots at LGW, but even a combined IAG/Norwegian would still be behind easyJet in terms of slots. They don’t need another EU AOC with Iberia and Vueling in the fold. If anything, they are setting themselves up for a transaction that they would have to undo post-Brexit due to EU foreign-ownership limits suddenly applying to UK. Well IAG is actually registered in Spain. So it’s the problem is the other way around. 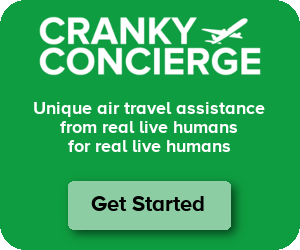 Flaw in your argument is “IAG realizes that if Norwegian doesn’t make it work, someone will” Neither Norwegian or IAG or Ryanair or Air Berlin or Air Asia or Jetstar or anyone else has come anywhere close to figuring out how to make a large scale “Long Haul LCC” work financially and competitively. Short run operations always depend on some combination of crude regulatory arbitrage, cross subsidies from a parent, ignoring true long-term fleet costs, or other unsustainable factors. As you say, there are a lot of smart people at these airlines (and the others who have played with the idea). Nobody can make the business model work. Your broader point about IAG behaving rationally here is still valid. But if you want to find potential returns on an IAG investment in Norwegian, I would look harder at intra-IAG industrial gamesmanship (threatening pilots at other subsidiaries with the threat of shifting resources to a new Gatwick operation). Or hoping that could undermine EU/UK competition concerns by claiming Norwegian was a “failing company” that will still be an “independent competitor” as part of a holding company. Or shifting Norwegian’s 787s (which I believe have advantageous lease rates) to other IAG units while keeping its 737 operation alive. If IAG gets DY at a very cheap price (the obvious expectation), IAG’s shareholders might well come out ahead. Even if IAG walks away the inside information from their due diligence on Norwegian’s book would be very useful. But if IAG makes money on this, it won’t because they suddenly discovered the magic formula for running a profitable standalone Long Haul LCC that no one else could ever figure out. I am not clear why IAG would spend a lot of money in acquiring OSM rather than just build something similar themselves. I am positive that IAG is better at managing staff than OSM is (I would hope so anyway), even if they haven’t carved that out into a separate entity or tried to monetize the capability with other airlines. Certainly, OSM would not be able to handle IAG’s staff without a huge amount of investment. From my indirect experience, it isn’t a robust organization.